Duke is no stranger to .22’s. Here he is shooting a STG44/.22 imported from Germany. By way of paraphrasing, let me say, “.22s? I don’t need no stinking .22s!” Stop right here! I meant it in jest, so all you .22 lovers don’t need to get mad at me! I’ve owned many .22 rimfires — rifles and handguns — but only one each of those currently resides in my walk-in vault. The simple truth is this: I honestly don’t need a .22 rimfire. Many rimfires have gone through Duke’s hands including a vintage Winchester Winder Musket and a Colt/Walther .22LR M4 lookalike. As far back as 1966 Duke replaced his .22 handguns with .38s and .357s. Like most of us, my first firearms were .22 rifles. I had Winchester Models 77 and 55 — the first being a tubular magazine-fed semi-auto, the second an unusual single shot loaded from the top like a British Martini-Henry. Then there were a bolt-action Marlin and a semi-auto Mossberg, the exact model numbers of both I’ve long forgotten. Many more modern .22 rifles have passed through my hands. A few years back, upon seeing my first Colt-labeled, Walther-made .22 AR, I nabbed it. After shooting a few hundred rounds through it, boredom set in and a friend took it off my hands. A bit later I got an S&W Performance Center .22 AR. It was a fine shooter but it got passed on also. For nearly 25 years I hung onto an excellent Winchester Single Shot Winder Musket. As for .22 handguns, again, I’ve owned a mess of them — SA revolvers, DA revolvers and autoloaders. My first was a Colt Frontier Scout at age 17, and I had trouble hitting a bucket at 10 yards with it. It was traded for a Ruger Mark I .22 with which I got fairly proficient. Smith & Wesson’s K22s and their smaller frame Kit Guns have almost legendary reputations for quality and accuracy. I’ve had several of each and only one is still here because it was a gift. For years I wanted a Walther PPK .22, finally got one, then a few months later sold it to someone else. When Browning announced their scaled-down 1911-22s I got one ASAP. I used it to fire perhaps 200 rounds, during which time I shot one ground squirrel with it and sold it soon thereafter. I thought one would be great fun. It was — for a brief time, then I actually gave it away. Another of Duke’s “Axis” favorites for his squib loads — a German G33/40 8mm Mauser. Duke’s pet Japanese Type 99 7.7 shoots well with light cast loads. Now I’ve told you about all the .22s I once had, let’s go back a few years and I’ll explain why I don’t need them. Remember Great .22 Ammo Shortage? People were nigh on frantic for .22 shells and paid outrageous prices to get them. During this time I took several thousand rounds of .22 LR to a gun show because I was selling them along with reloading equipment for the widow of a friend. The ammo hadn’t been set on the table before there was a feeding frenzy. My prices must have been too cheap because a lot of those rounds went to other table holders who sold it again at a higher price. Personally the Great Rimfire Panic never touched me. Why? Because I’m an avid handloader and bullet caster, and anything needing to be done with a .22 rifle I can do with special handloads in my centerfires. Way back in the early to mid-1900s, such loads used to be called “squib” loads. (Nowadays it’s a term mostly used to describe incidents wherein a handloaded cartridge gets no propellant and its primer-powered bullet ends up stuck in the barrel). So you could say my rimfire replacements are centerfires, mostly vintage military surplus rifles in 7.65 Argentine, .30-06, 7.7 Japanese, .30-40 Krag and 8mm Mauser. How can those big boomers replace .22s? Inventive handloading! Think about those rounds I just mentioned. The American .30s take 0.308" jacketed bullets. The foreign 7.65 and 7.7 take jacketed 0.311" bullets. Normal cast bullet size for them would be 0.310/0.311" for our 0.30 calibers and 0.313/0.314" for the metric ones. Now let’s take a look at very light handgun bullets. For instance, Oregon Trail Bullet Company has a 78-gr. RN of 0.313". Lyman, RCBS, Lee and Redding/SAECO offer several lightweights meant for .32 ACP’s which make perfect reduced-load bullets for all American .30 calibers. Somebody has to be thinking, “.32s in .30s?” Yep. That’s right — .32 ACP bullets are 0.311 to 0.312". When made of lead alloy, they’re perfect fits for .30 caliber rifles. Duke has experimented with these different cartridges using very light cast bullets. From left: 7.62x54mm, .303 British, .30-06, .30-40 Krag, 7.65mm Argentine, 7.7mm Japanese and 8mm Mauser. The G33/40 produced this 5-shot group after the two numbered fouling shots at 25 yards. Good enough to replace a .22! This 5-shot group was fired at 25 yards through the Finnish M39 after the two numbered fouling shots (circled). The 8mm Mauser requires a little more thought. Jacketed bullet diameter there is 0.323", which means cast bullets should be about 0.325". 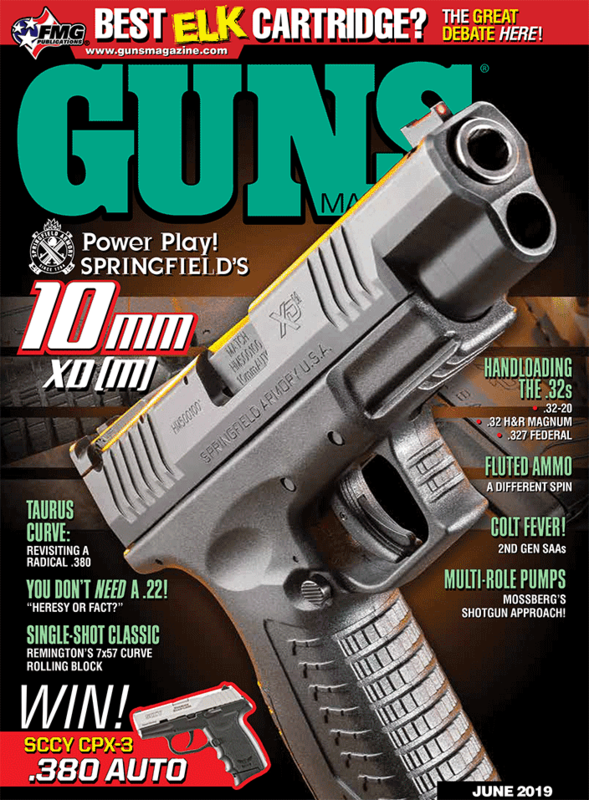 There are no lightweight pistol bullets commonly available in this size, but RCBS’s special bullet mold catalog lists one for an 8mm Japanese Nambu pistol bullet of 110 grains. Need I say it worked perfectly in my military 8mm Mausers? Since I reload the Nambu cartridge, one of those was already on hand. I included it in this article just to show if you look around a bit, you might be surprised at what is available. With lead alloy bullets on hand and cases prepped to accept them properly, all I did was drop in a charge of 5.0 grains of Hodgdon’s Trail Boss and then seat the bullets. For a little test I picked a Finnish M39 7.62x54R, a Japanese Type 99 7.7 and a German G33/40 8mm to try. All the loads clocked about 1,100 to 1,150 fps with hardly as much noise as a .22! Although I have fired these rifles plenty with jacketed bullets, these were the first cast ones to go down their barrels. And I wish to note none of the rifles were cleaned of their jacketed bullet fouling beforehand. So I fired and marked two fouling shots before shooting a 5-shot group at 25 yards. Most of the groups clustered about an inch or so, meaning they would serve for any purpose for which I might personally envision using a .22 Rimfire. And that’s the reason I don’t need no stinking .22s!